Below you will find Solar Decathlon news from the Solar Decathlon China archive, sorted by date. The U.S. Department of Energy Solar Decathlon competition now spans five continents – from the United States to Spain, France, Colombia, Morocco, the United Arab Emirates, to China – bringing together collegiate teams from around the world to address some of the most pressing global energy issues of our time. The U.S. Department of Energy, the National Energy Administration of the People’s Republic of China, and China Overseas Development Association have finalized a memorandum of understanding to collaborate on the second edition of Solar Decathlon China. I knew when the City of Datong offered to build a new site for its Solar Decathlon that it was going to be spectacular, and everything so far has exceeded my expectations. The site is beautiful and spacious. It has ample facilities for the team houses, two office buildings, central gardens, and thousands of guests. There are two large towers for viewing the village, and all the decathletes stay in the Sun Palace, which is adjacent to the site. Yesterday’s Solar Decathlon China opening ceremony was grand! A huge stage, complete with three video screens, was set up on the steps of the Sun Palace. The mayor of Datong opened Friday’s opening ceremony by speaking about the future—a cleaner, brighter future, thanks to the efforts of students and faculty participating in Solar Decathlon China. Other dignitaries, including Assistant Secretary David Danielson of the U.S. Department of Energy, also spoke. Dr. Danielson said how pleased he was to be in Datong witnessing the first Solar Decathlon in China. He congratulated everyone for making the competition possible. Greetings From Solar Decathlon China! I just arrived at the first Solar Decathlon China in Datong, and it is beyond awesome. Solar Decathlon started in the United States, spread to Europe, and is now in Asia. Each time it moved, our international friends and colleagues took a good idea and made it better. 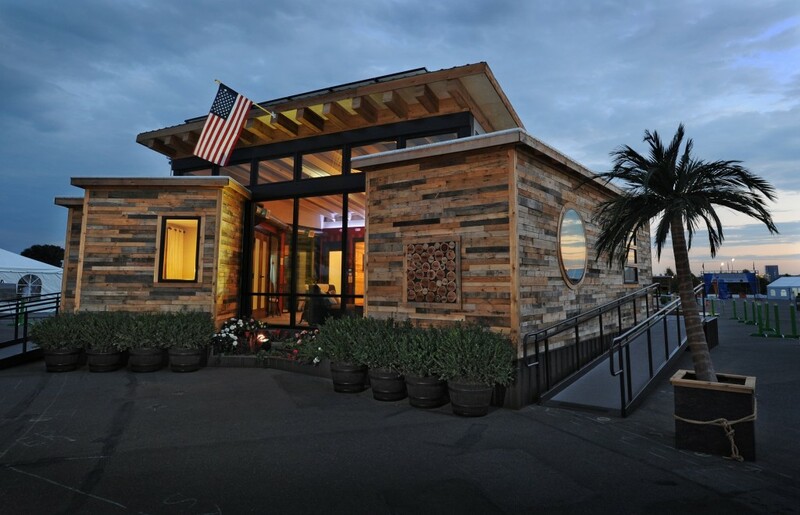 The U.S. Department of Energy Solar Decathlon’s influence is expanding around the world. This competition, we have international teams from Belgium, Canada, China, and New Zealand that bring different perspectives and add to the debate about how to design sustainable homes. We love their fresh approaches and cultural influences. Even the cricket games in New Zealand’s side yard, which just happens to be a softball diamond, adds a twist to the neighborhood. On April 28, 2011, the launch ceremony for Solar Decathlon China (SD China) was held at Peking University. The event was witnessed by more than 200 participants from China’s National Energy Administration (NEA), the U.S. Department of Energy, prominent domestic and international energy companies, and several Chinese universities. The Solar Decathlon China competition will be hosted by the National Energy Administration and the U.S. Department of Energy, organized by Peking University, and supported by companies including Applied Materials of the U.S. The U.S. Department of Energy Solar Decathlon is proud to announce the newest member of the global Solar Decathlon family: Solar Decathlon China. The Chinese event was announced this week after the signing of a memorandum of understanding between the U.S. Department of Energy, China’s National Energy Administration, Peking University, and Applied Materials. The first Solar Decathlon China will be held in 2013.